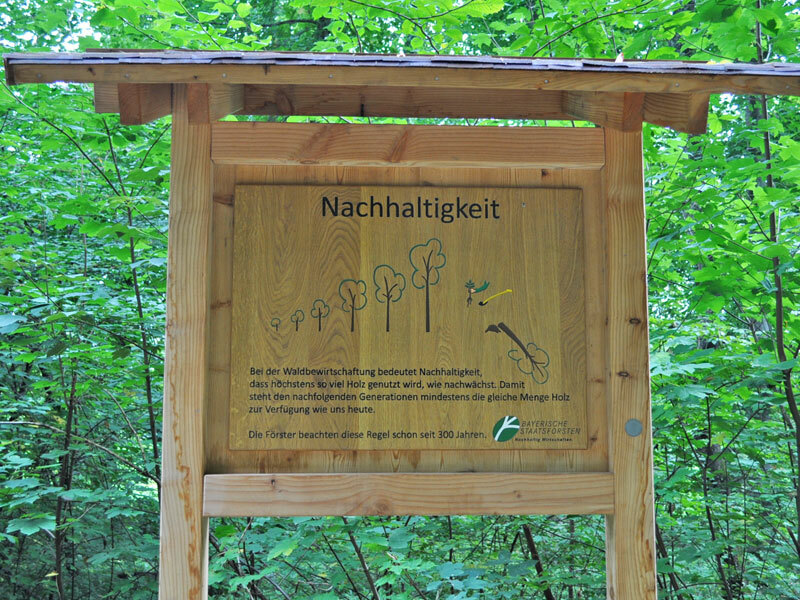 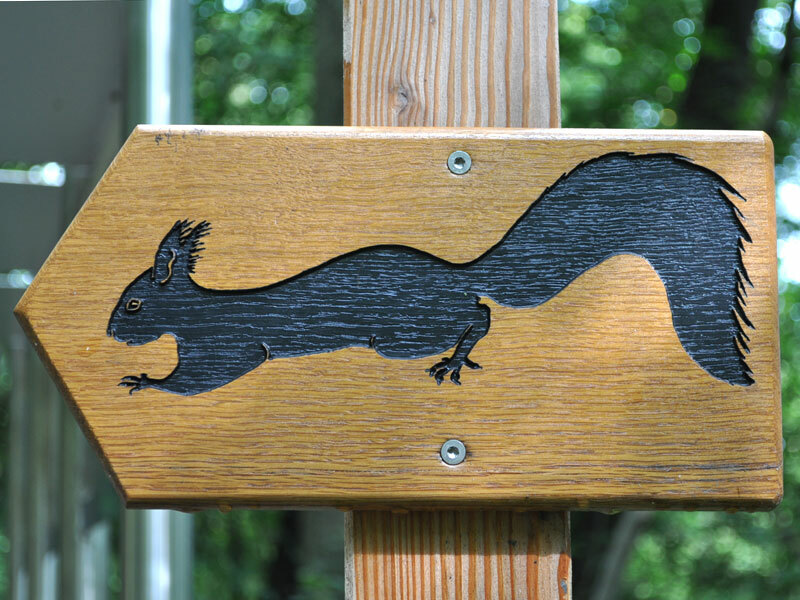 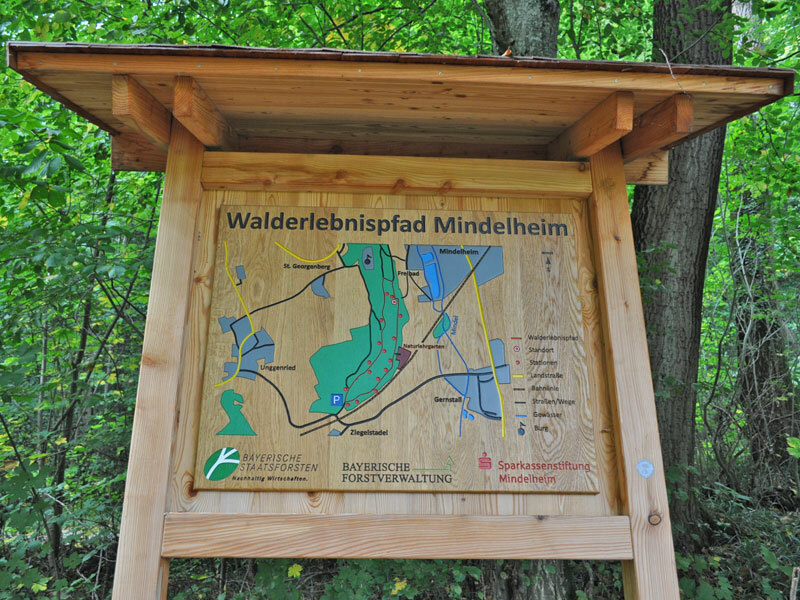 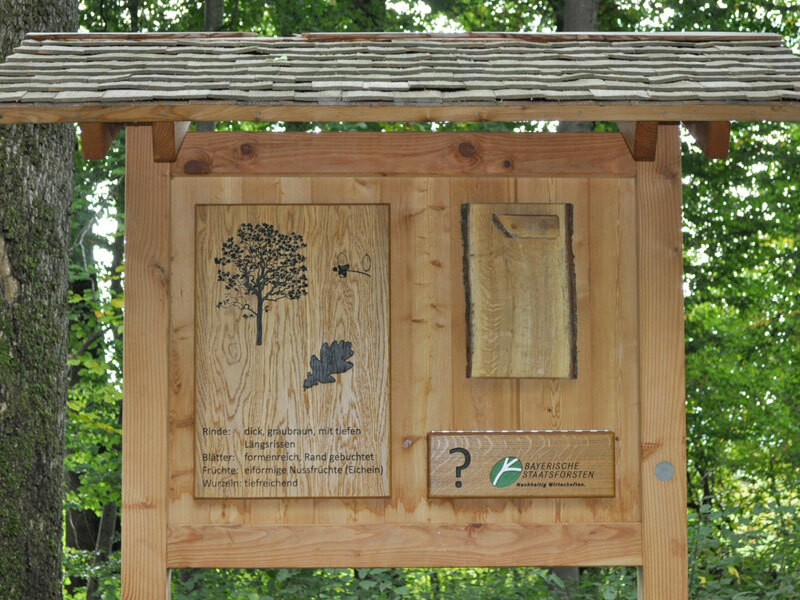 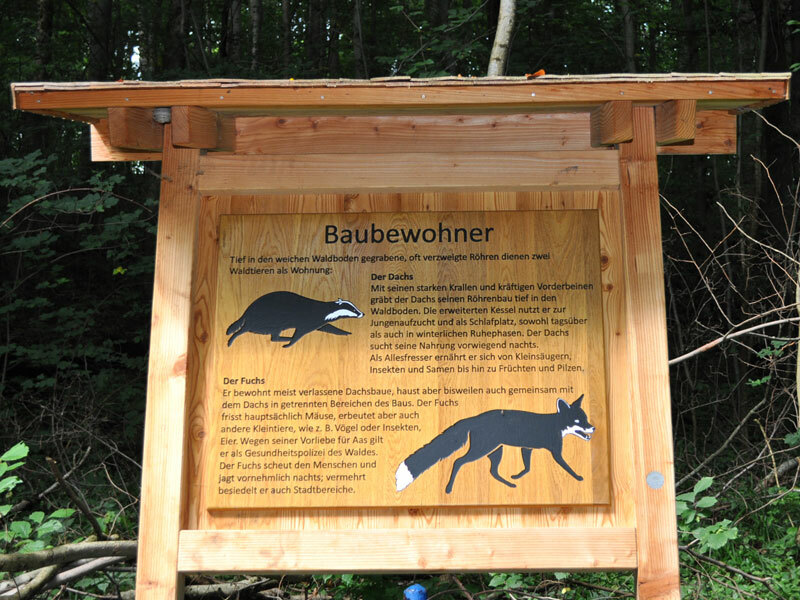 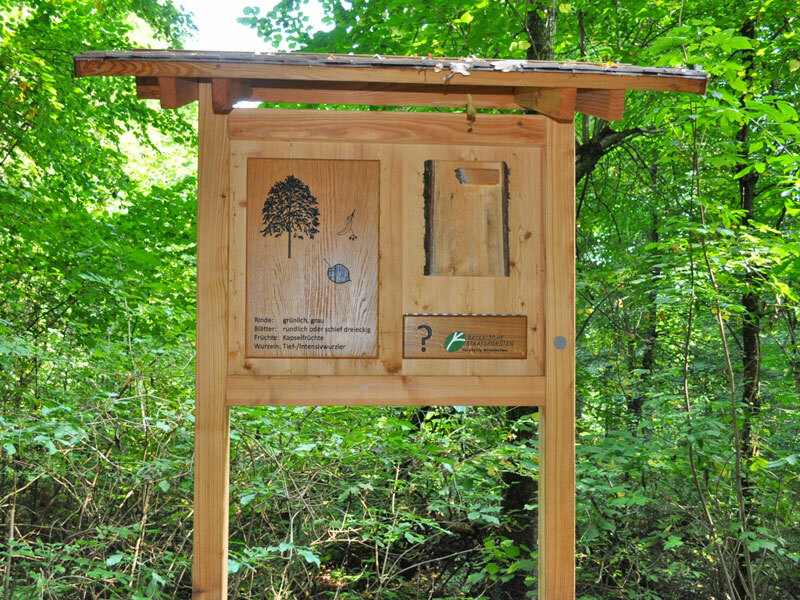 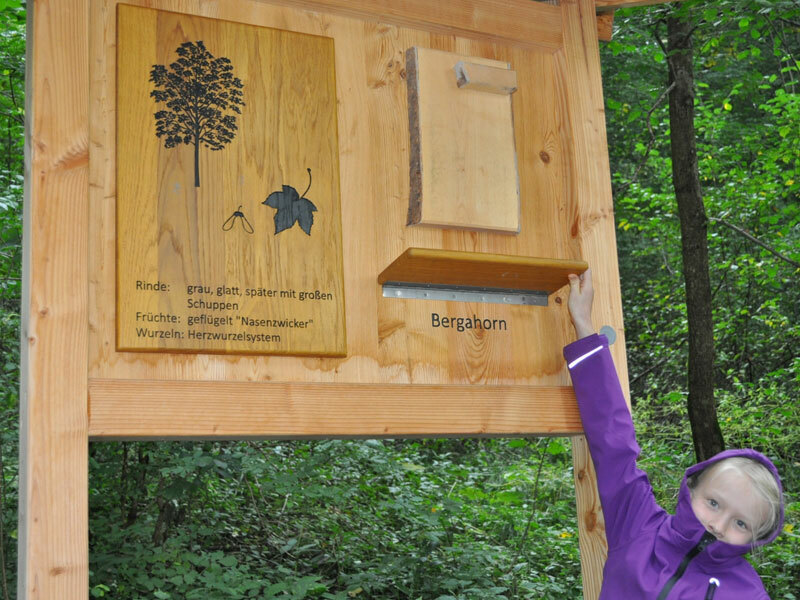 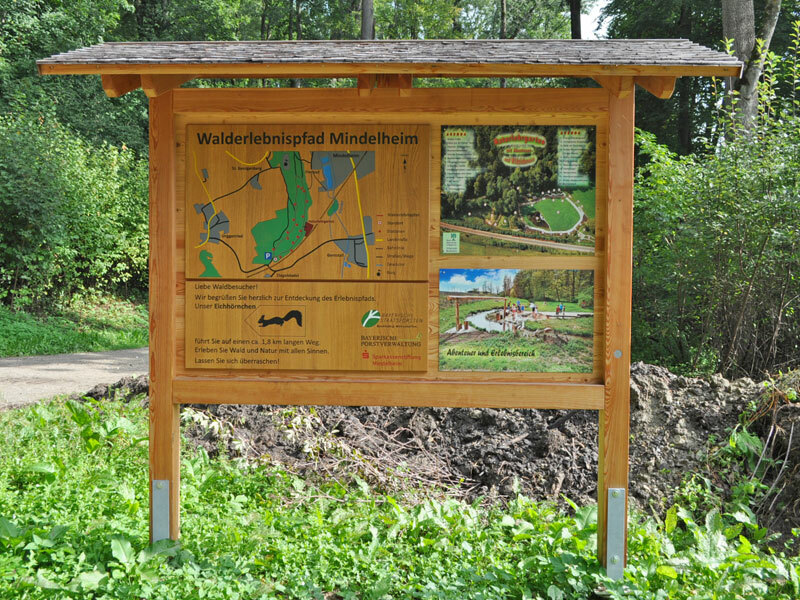 Those who choose to walk the Nature Experience Path in Mindelheim, will learn a lot about; wood, the raw material; what nature-oriented forestry means, and the communities that live in and from it. 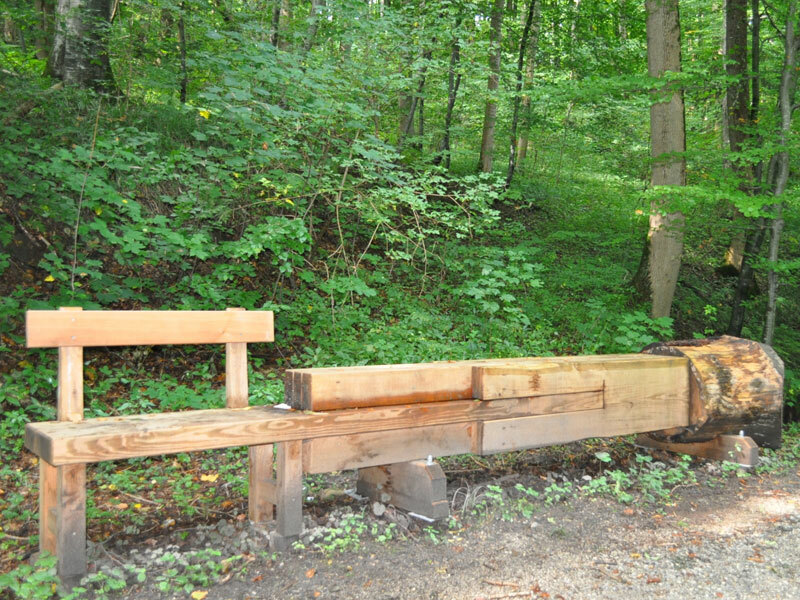 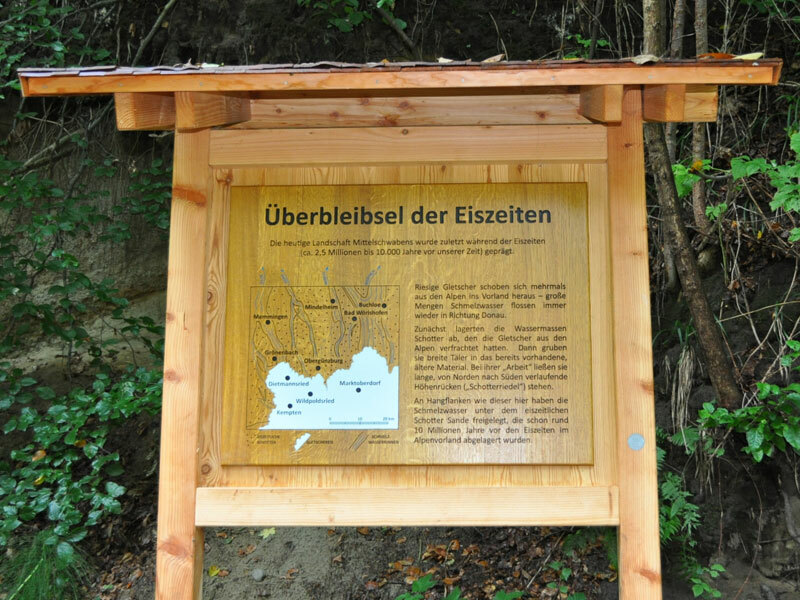 The station ‘Vom Stamm zum Stuhl’ for example, explains step by step how a 5-metre-long trunk is cut open in the saw-mill on its way to becoming a chair. 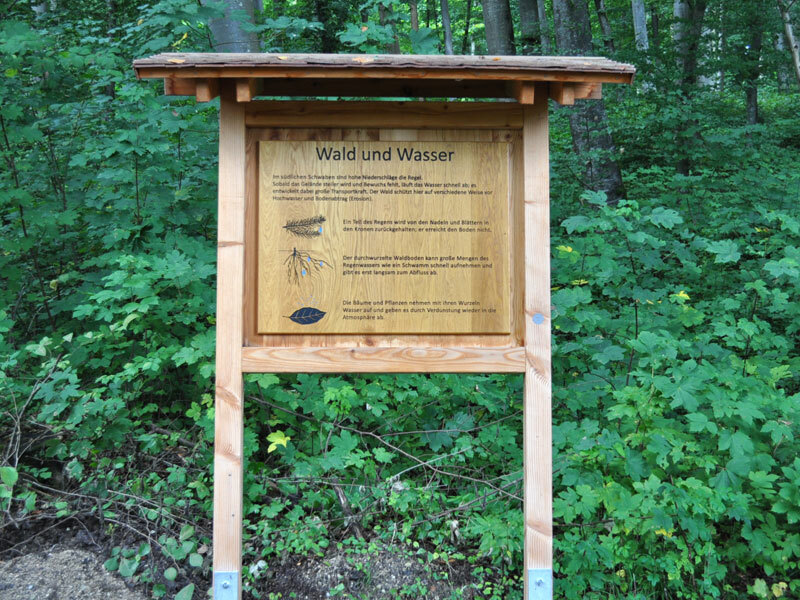 Stations like ‘Wald und Wasser’ and ‘Photosynthesis’ make clear, what an important role forests play for our environment. 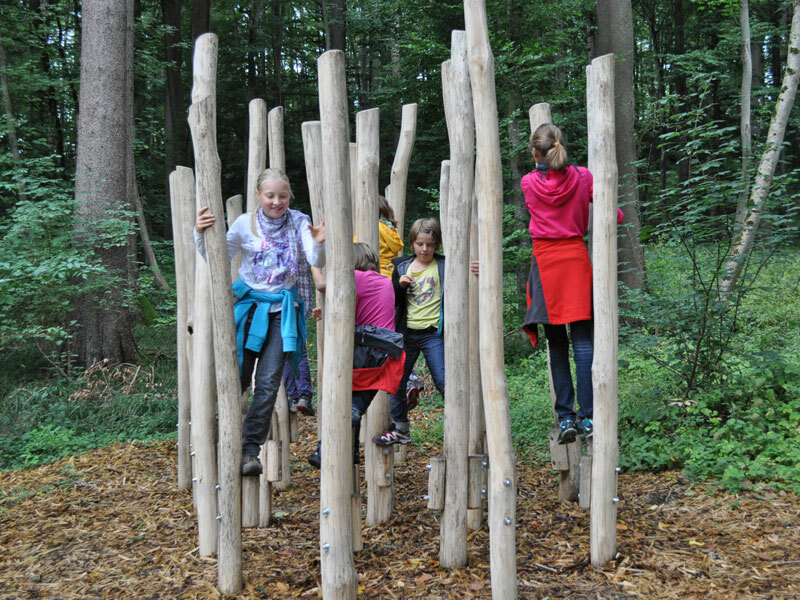 A stilt-path made from acacia promotes the visitor’s motor skills and their sense of balance.